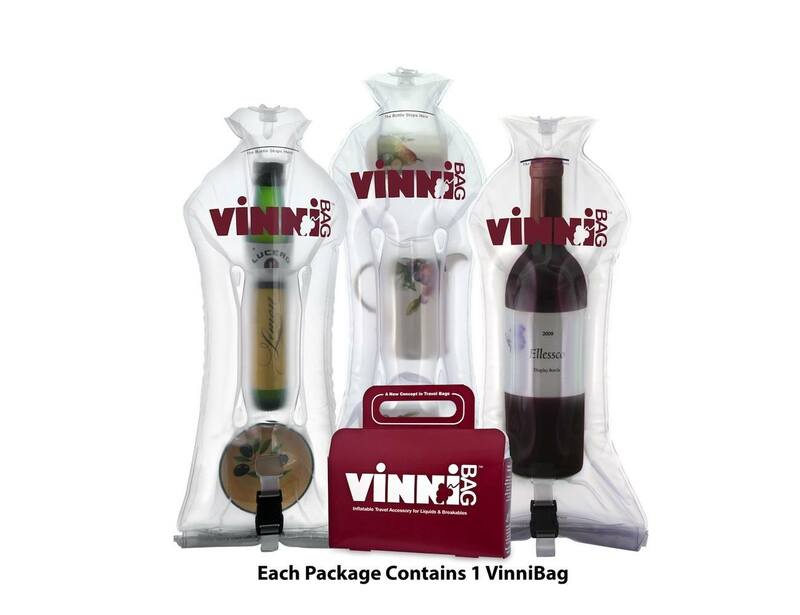 VinniBag is a unique travel accessory with inflatable air chambers that protect liquids and fragile items. These versatile bags provide superior protection against impact and leakage and are engineered to withstand fluctuations in altitude and temperature. 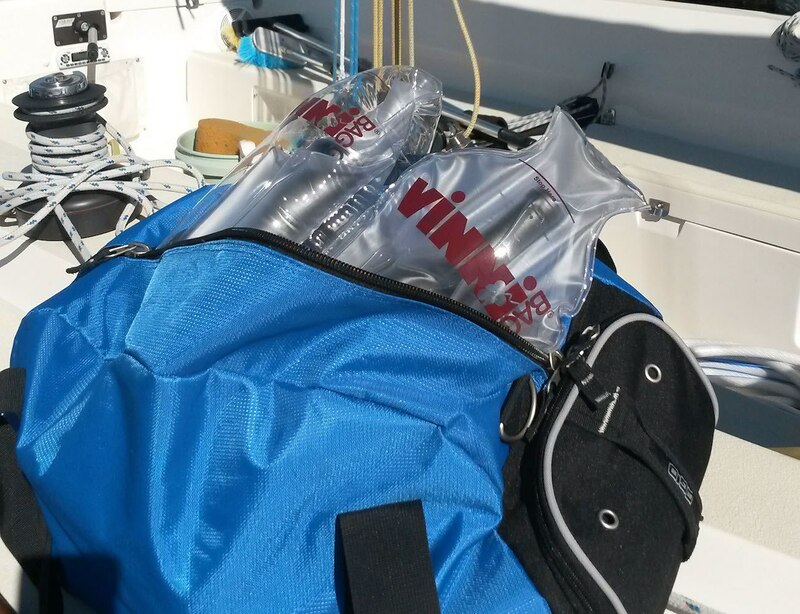 The items are immobilized & suspended in a liquid-tight air cushion – wine, spirits, olive oil, gourmet treats, keepsakes, medications, camera lenses, etc… You can use little or no inflation too, making them perfect for wet swimsuits and soiled items. 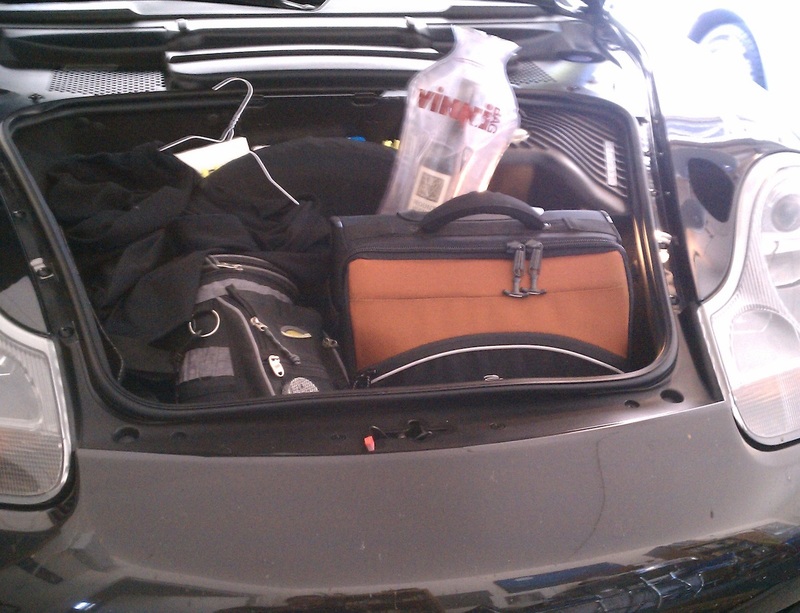 It is ideal for luggage, backpacks, boats, sports, or just the car trunk. 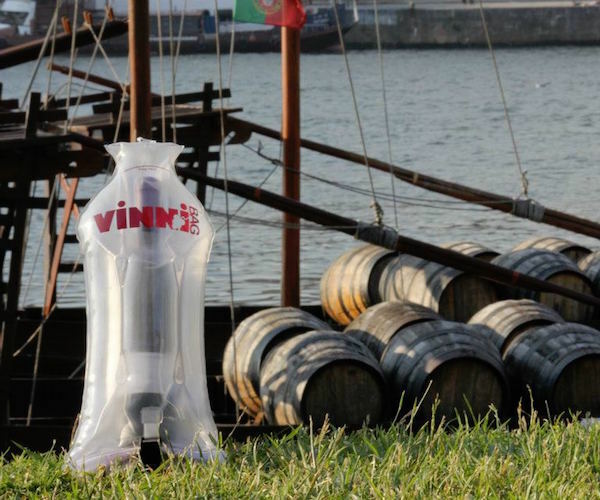 An eco-friendly travel essential, VinniBag is reusable, recyclable and made of durable materials that will last for many journeys. Great gift for frequent fliers, wine & spirit lovers, food lovers & gourmets, collectors, and outdoor enthusiasts. An easy-to-use device that can be stored flat and is made in USA as well as TSA friendly.